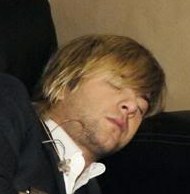 Keith Harkin. . Images in the Random club tagged: funny random awesome image picture cute. This Random icon might contain judge advocate, business suit, portrait, headshot, and closeup.